وجه العملة شعار جمهورية الكونغو وعبارة "جمهورية الكونغو الديمقراطية 10000 فرنك أفريقي"
ظهر العملة صرخة غوريلا فضية الظهر وعبارة " غوريلا فضية الظهر الكونغولية 2017 1كغ 999 فضة "
شعار جمهورية الكونغو وعبارة "جمهورية الكونغو الديمقراطية 10000 فرنك أفريقي"
صرخة غوريلا فضية الظهر وعبارة " غوريلا فضية الظهر الكونغولية 2017 1كغ 999 فضة "
1كغ | كيلوغرام 2017 من العملات الفضية الخاصة بالغوريلا الفضية Buy Scottsdale mint's first ever 1 kg silver coin from our online store, you’ll be enjoying the best price the web has to offer. 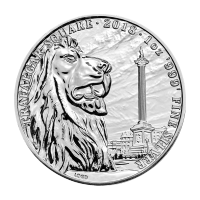 This .999 fine silver coin is the latest installation in the popular Congo silverback series, made for the Congolese Government by the Scottsdale Mint in Arizona. 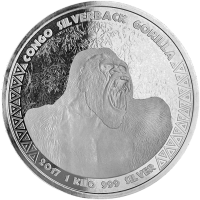 The reverse design on the 2017 edition features an aggressive silverback Congolese gorilla staking his claim with a show of teeth. 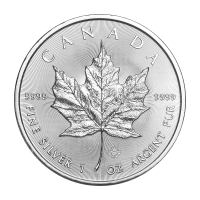 Along with year of issue, weight and purity, the reverse also features a tribal rim relief and the “Congo Silverback Gorilla” title. 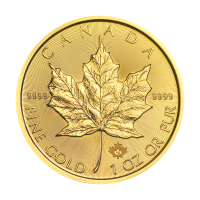 The obverse boasts a brushed field with the Congolese coat of arms and the legend “Republic Du Congo.” The coin’s denomination and value of 10000 Francs is also displayed on the obverse. 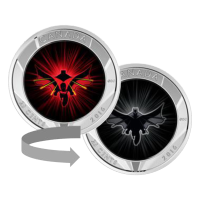 These vibrant and exotic coins are released under a limited mintage of only 5000 and would make an excellent gift for any coin lover. 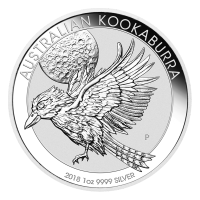 Purchase your 1 kg Congo Silverback Gorilla Silver Coin today, your order may qualify for free shipping!